Jane DeLuca, Esquire, thrives on advocating zealously for her clients in Damson County’s courts, but her solo practice leaves no time for a personal life. 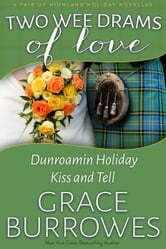 She’s opposed in a nasty divorce case by dour, stubborn Scotsman, Dunstan Cromarty. And yet, as the clients’ case grows more complicated, so do Jane’s feelings for Dunstan—and his for her. Crossing personal lines the middle of a case could cost each of them their license to practice law, and in a small, rural jurisdiction, they’ll oppose each other frequently. Neither can afford to give up their livelihood or their professional integrity, but can they give up each other? As a favor to his cousin, art history professor Liam Cromarty agrees to show American attorney Louise Cameron the Scottish sights. He doesn't expect that his guest will challenge and charm him, until all he can see is the possibility of a shared future with Louise. She's at a professional crossroad, between the courtroom and the creative career she was robbed of as a younger woman. 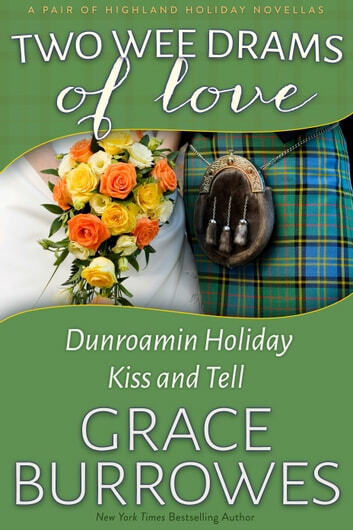 Liam is the perfect partner for exploring all of the wonders of Scotland, and he also inspires Louise to renew her artistic ambitions. When Liam realizes his actions were responsible for cheating Louise out of her dream years ago, he knows that whether he keeps silent about the past or reveals the truth, he could lose Louise forever.